Google is great. It holds the ‘answer’ to practically every conceivable dilemma you may face as a recruitment business owner. But while it can be a great resource for information, it cannot provide the knowledge, support and guidance to help you overcome the hurdles and dark days that are par for the course of running a business. That’s where the helping hand of a mentor can help. Rather than finding yourself drowning in a sea of unchartered challenges, an experienced confidant who has ‘been there’ can give you the steer you need to enable your new business to thrive. Their role is to provide objectivity by looking at your business through someone else’s eyes. They impart advice that’s valuable for the long haul based partly on previous experience and partly on general business savvyness. By taking a holistic view they can show you how to unearth new opportunities that you may not have spotted yourself which can unlock growth. More important, they can help you overcome some of the emotional challenges you will encounter along the way (and you will encounter them!) because they have also faced them in their own businesses. In their book, The 100 Simple Secrets of Successful People, authors Lockwood and Kunda stressed the importance of choosing a mentor whose achievements must be realistic and attainable by you. They said “People who choose role models who do not fit that description wind up 22% less satisfied with their careers than people who do not have a role model at all.” In other words, role models must be aspirational figures whose own achievements can be emulated without making you feel intimidated. 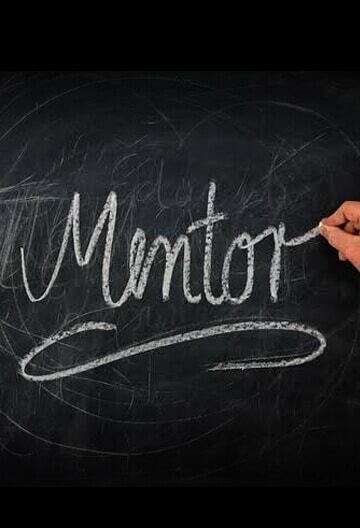 Be clear on what you want from your mentor-mentee relationship. That means you need to be specific about what you’d like to improve in your business and have a clear picture of your goals. You should also be selective over who you partner with – only seek out someone who understands the nuances associated with your sector and can really add value to your business. Transparency is key. Be prepared to talk openly, warts ‘n all, about every aspect of your business – you will only truly gain value if you are willing to share information, so don’t hide any skeletons in the cupboard. Don’t forget that the relationship should be one based on collaboration and shared knowledge, so consider what you can offer them in return – do they recruit staff for their other businesses, could they share your job boards licences, for instance? But if it’s a simple case of you not liking what they say, then you may need to stop and think. If they tell you to do something or change what you’ve been doing, it’s most likely because they have your best interests in mind. So don’t let your ego get in the way of what could be sound advice that will steer your business in the right direction. By David Thornhill – Managing Director at Simplicity – the UK’s fastest growing provider of outsourced back office and financial solutions to the recruitment sector.